In today’s society there is a lot more emphasis on what we can do to save our planet and have a generally more ‘greener’ lifestyle. There are more decisions available to make now, than merely taking your bike to work instead of the car. From recycling household waste to installing solar panels, the chances to become more environmentally friendly are forever growing. Home improvement markets have started to introduce environmentally friendly materials/energy efficient features that could save you a lot of money and reduce your carbon footprint. Eco Paints – Eco paints are natural and therefore environmentally friendly. They can help reduce your carbon footprint especially if both the exterior and interior of your home is to be painted. Not only are they toxin and petro-chemical free, reducing risk to your health, they also provide your walls with a high performance finish that will look great for years to come. LED Lights – LED lights are a very efficient source of light energy with many benefits; the LED light has already exceeded the values of halogen and incandescent lamps. In future their efficiency and light output will approach that of fluorescent lighting. Sheep Wool Insulation – Sheep wool insulation provides thermal and acoustic insulation, preventing the need for additional soundproofing. Sheep wool insulation products are now frequently used by home owners, housing developers and in hotels, castles and shops. Earth Sheltered Homes – Houses that are partially below ground level, earth sheltering housing is adaptable and takes advantage of the energy efficiency of surrounding plant life and soil. Bermed homes are built at ground level or dug into the hillside so that two sides are compacted by earth (the roof and along the rear). These houses provide natural light, cool air and insulation, saving you money and proving very environmentally friendly when saving energy. Recycling Building Materials – This is a great way of saving you money as well as saving the planet. By recycling pieces of wood, metal and other products, be they pieces of furniture or second hand appliances, you can reduce your carbon footprint and adapt your home to more environmentally friendly conditions. A house made up from recycled materials doesn’t have to be made up of 5 million empty drink bottles. By using second hand furniture and appliances you are keeping them out of landfill and also saving yourself money. When designing a property renovation, it’s always a great idea to consider environmentally friendly materials and design ideas that could reduce your carbon footprint, and save you a lot of money in the future. Environmentally friendly properties don’t always have to look ultra modern and incorporate exterior features; many of our clients opting to ‘go green’ keep their efforts inside the property, using recycled flooring, eco paints and second hand furniture. Before you start anything else, it is crucial to check whether or not you will need planning permission with your local planning office. Planning the design of your property renovation can be exciting, tedious and often both. 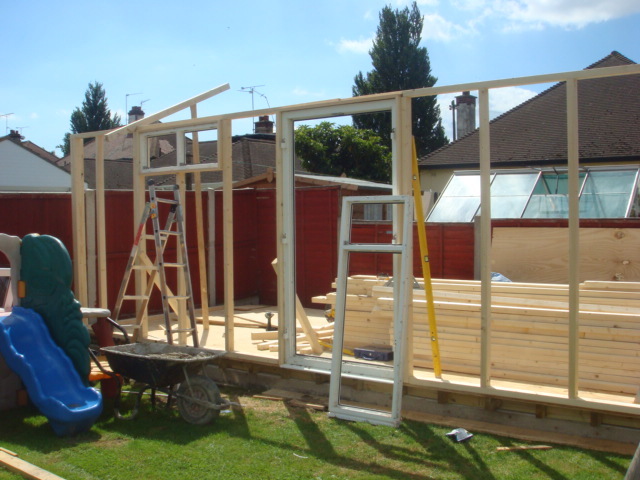 It’s always a good idea to jot down your own plan of how you want your extension/loft conversion to look. By doing this, an architect or designer is able to work around your ideas and design a space that is personally suited to your individual needs. There are planning rules with regards to extensions. You may find that you don’t need any planning permission, but until you check you won’t know. The last thing you want to do is spend weeks on the design process, possibly spending money, thinking of ways to create your dream home, only to be told there are restrictions on what you can and can’t build. Be aware of your area – before you plan a costly extension or loft conversion, it’s crucial to talk to a local estate agent to find out what renovations are popular in your area. Every street will have a ceiling value so don’t over develop if you want to make a good profit on your investment! Do some research – find out if your area is full of families or young professionals etc. You want to create a renovation that will be best suited to those more likely to buy a home in your area. If you plan your renovation wisely, you’ll make back more than you spent in the long run. An architect will be able to take your ideas into consideration when drawing up a final plan. If you wish to extend your property but are unsure of how to do so, an architect can help give you ideas and suggest the best type of extension for your property. Remember, a badly designed extension could actually reduce, not add value to your property. Manage all of the building process. Help secure planning consent and building regulation certificate. Monitor progress, standards and safety on site. Arranging input from specialists and overseeing construction to completion. It is important to consider the “look and feel” of your existing property when designing the extension. Matching prominent features such as the roof with those of the existing building can help ensure a sense of continuity, as well as making sure any new doors and windows line up with the existing fixtures of your property. Another thing to consider when renovating your property is how it will affect your neighbours. Getting your neighbours involved during the early stages of the design will save a lot of time and money down the line if they do have any objections or concerns. It is also a good idea to make sure the extension will blend in with other properties down the street. What do you Ask Your Builder? Choosing the right contractor for you is a very important decision to make. It’s crucial to have a trusting relationship with the person(s) who ultimately, are creating a place for you to inhabit. The property needs to be safe for all residents and neighbours, needs to be completed at a time and within a time frame convenient for you and of course, it needs to have a professional and quality finish. It’s important to know how long you and your family will be living in a construction environment. If you’re paying a builder to have the job finished within a particular time, it should be completed then, unless weather or technical problems should arise. It is also a good idea to give 3-4 weeks leeway for the project to be developed, so don’t go booking any holidays if you want to keep an eye on the construction work! Would you like me to be available for a reference? If your builder thinks you are willing to act as a reference/show your finished property to prospective clients, it can help smooth the road for your project and will give your builder more of an incentive to keep you happy. How will you handle any issues that arise after the initial build? It’s good to know if your builder will compensate you for any work not completed/needs to be resolved after the closing. Discuss early on if the builder will do the work or compensate you for finishing it yourself or hiring someone to address the issue. Do you plan to subcontract the job? Find out if your builder has a team on his payroll or if he will be subcontracting some of the work. If so ask if he has worked with them before/how many times. How will you deal with the process of change during the project? Different builders will have a different process/price when dealing with changes during a project, whether it’s because you’ve changed your mind or a designer has deviated from the blueprint. Make sure the contractor has references from different projects that have had some of the same requirements as yours. It is useful to know how many different projects your builder is working on at the same time as yours. This may explain why the project is taking longer to progress that you anticipated. Finally of course, how much will the project cost? Once you’re happy with the details of how and when your builder works, ask him for a quote. If you think you can get a better deal elsewhere, do shop around before making that important decision. However, be aware that the cheaper the job, the more likely it is the cheaper the materials used. This could mean that the superb professional finish you were looking for is not guaranteed. 5:18 pm Comments Off on What do you Ask Your Builder? 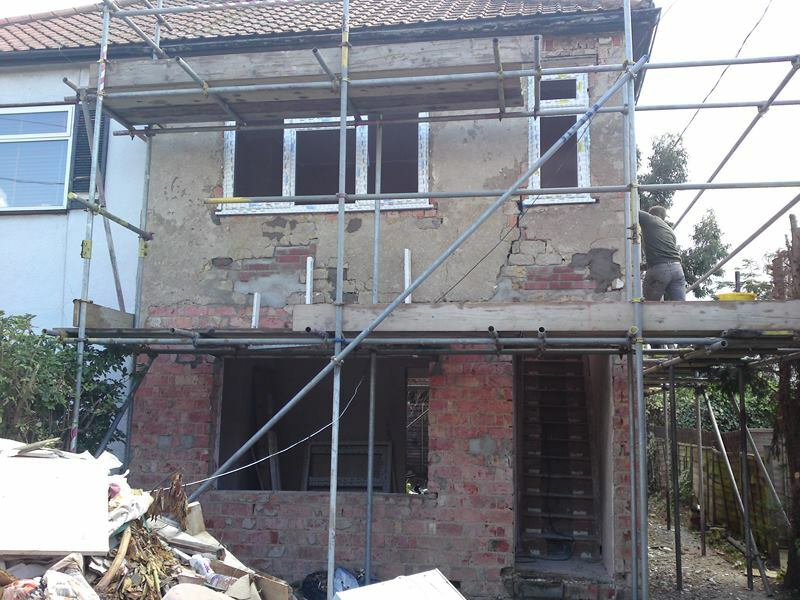 Why Use Us For Your Essex Building Projects? 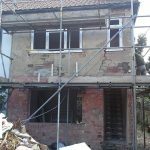 Here at Essex Property Maintenance, we have over 20 years worth of experience in building projects and property renovations. Not only can we help you with the renovation design of your property, we can also follow that property on its journey to becoming great. 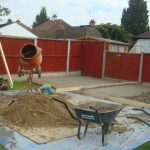 Our services include everything from extensions and renovation, plastering, plumbing, right through to bathroom/kitchen installation and garden maintenance. 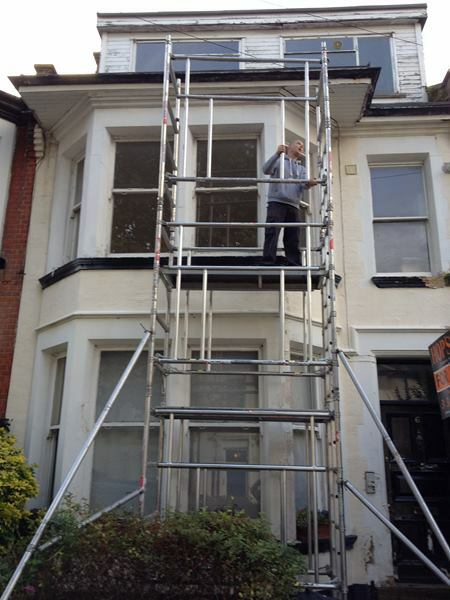 We cover a huge spectrum of property maintenance services, all at competitive prices. So really, you don’t have to look much further than this webpage to find yourself a friendly and hardworking team of tradesmen, who promise to provide excellent customer service. Finding a building company that you can trust and successfully work with is crucial to determining the success of your project. Essex Property Maintenance will always offer welcomed advice and knowledge to help you create your dream finish to whatever project you have in mind, whether you own a home or commercial property. You need to be able to work with a team of people who can adjust your ideas if the need arises, and who will work efficiently to get the job done on time, at the right price. Essex Property Maintenance offer competitive prices for a professional finish 100% of the time. No job is too big or too small for us, simply because we cover jobs such as small tile repairs for example, to large property extensions and loft conversions. We even paint and decorate transforming the interior of your property just so that you don’t have to. We take pride in our projects, only using quality materials to ensure the job is done right. We are also very proud of the positive feedback we have received after every job. Highly trained and experienced professionals who make it their mission to help you achieve your goals. Advise on environmentally friendly options you may want to incorporate into your project. Solutions that meet your individual needs and allow your projects to run smoothly. Help with the development of your project backed by a solid understanding of current best practice and regulations. Work that is fully insured and guaranteed. Work for private or commercial customers. A very reliable service with a great reputation. Don’t hesitate to call our friendly team based in Westcliff for any extra details or a free quote today; the chances are, the job you need doing is nothing we haven’t done before! 5:16 pm Comments Off on Why Use Us For Your Essex Building Projects? 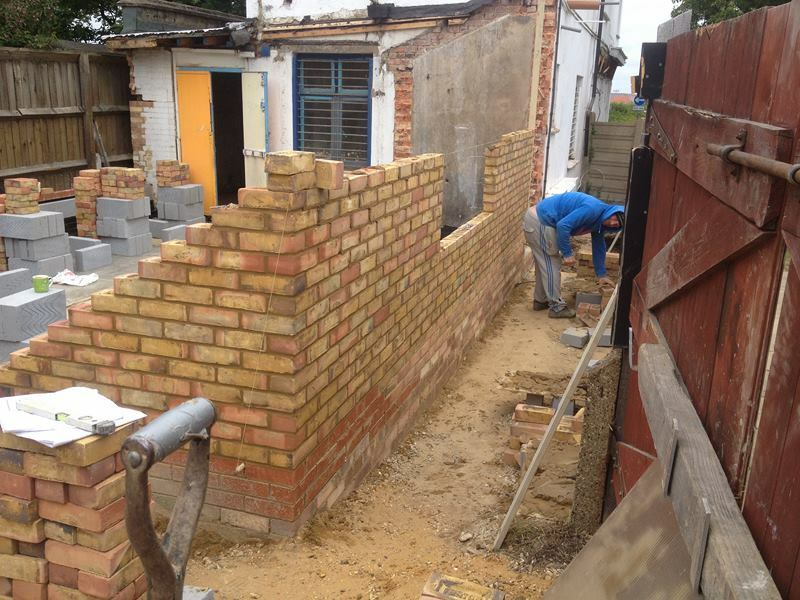 Build brick wall for your front/back garden. Construct wooden fences/add trellis to give your property character. 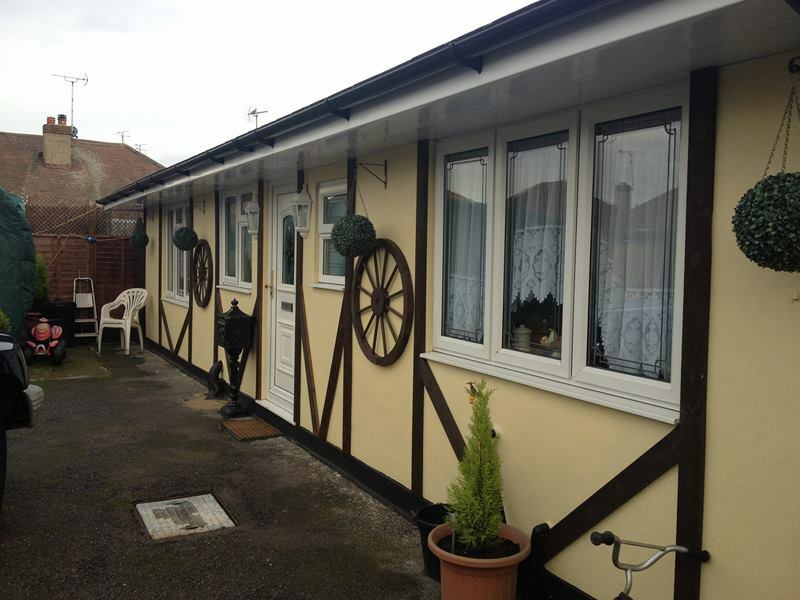 We can transform the appearance of your property at the front and back. 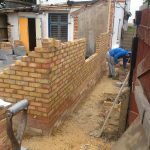 Our hard working and efficient tradesmen promise to provide you with excellent service as well as a selection of block paving patterns. We guarantee you will find the perfect design for your property, enhancing its character, adding value and generally making the property look smarter. We can help you design your block paving to highlight any features you have/plan to have in the future, for example, plant pots and fountains. We only use the best quality materials that will suit every budget – at Essex Property Maintenance, we have something for everyone. Little upkeep and maintenance, unlike a front garden with grass/plants. Great way to utilise space available. Durable, block paving lasts for years. Unlike gravel, the bricks stay in one place, make no noise when driven over and do not scatter into the road/path outside the property. The right design has the power to make your driveway look bigger, make your property look smarter, add value to your property and of course, give it curb appeal. Fencing and brick walls not only help to blend your property into its surroundings, they can also make it look well distinguished and secure. As well as fitting fencing panels, we also carry out fencing repairs to make sure your property, whether it be residential or commercial, is secure. We can also add trellis to your fencing to give your property character. Climbing plants are ideal to have placed below fences with trellis; they can weave in and out of trellis disguising your fence to make your garden look enchanting. 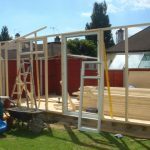 Our team of professional tradesmen have over 20 years of experience, whilst all of our work is fully insured and guaranteed. 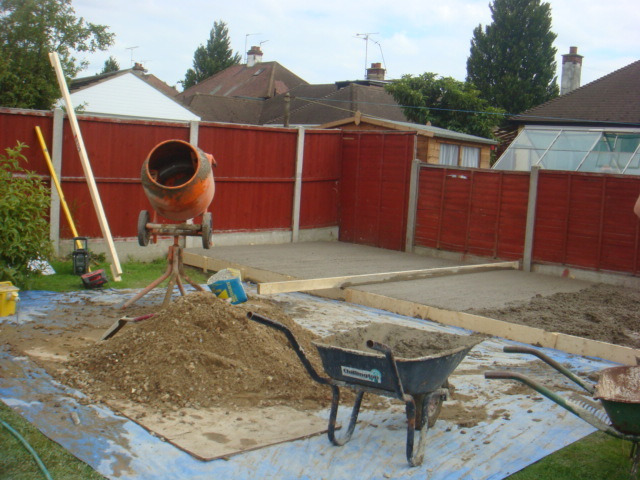 We can lay paving at your property or secure it by constructing fences and walls with a professional, quality finish. Why not call our friendly team today to get a free quotation at a time convenient for you. 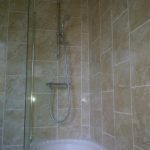 Whether you wish to have an area of flooring, bathroom or kitchen walls tiled, Essex Property Maintenance can offer you a huge range of tile combinations to choose from, as well as an excellent service. We have over 20 years of experience in this field, whilst all of our work is fully insured and guaranteed. Whether you wish to tile an entire room or only need small scale work carried out, our experienced tradesmen can do the job for you at very competitive prices. Choosing tiles can be tedious work, depending on the size of the room and shape can affect which size and colour would look best. Smaller areas are most suited to lighter, larger tiles to create the illusion of a more open, bright space. Larger areas can afford to have darker colour tiles, for example black. Of course, these are just suggestions and all choices depend on the preference of our clients. 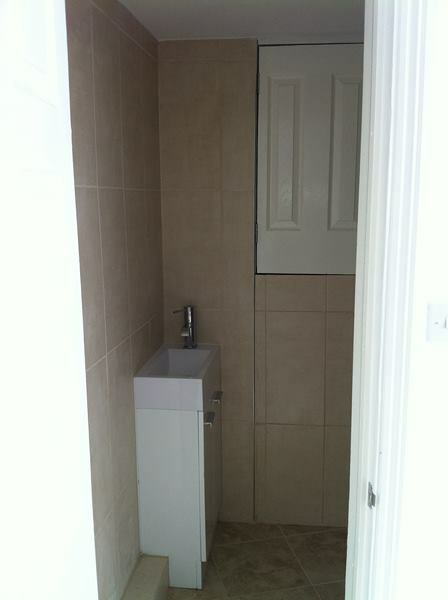 Essex Property Maintenance offers a wide range of tiles which are becoming increasingly popular to have in the home. Floor tiles can be a great alternative to carpet which is easily stained and worn; keeping cool under foot in the summer months and warm in the winter (should you choose to have an under floor heating system installed). Rugs can also be thrown over tiles in the colder months acting as a great alternative to permanent carpet. 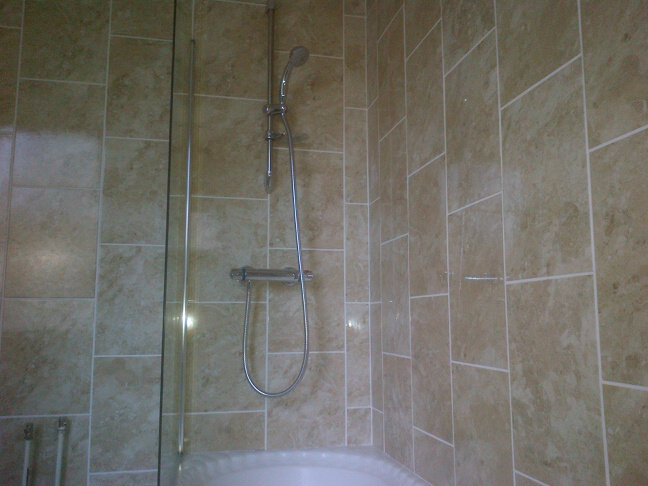 Essex Property Maintenance offers a range of different material tiles such as, ceramic, porcelain, quarry and glass. We can advise you on which tiles are perfect for your property. Glazed (most common) – liquid glass is applied to the body of the tile and fired at high temperatures. The glazing becomes hard and non-porous. Non Glazed – no glazing or any other coating is applied to the tile. The colour is the same on the face of the tile as it is on the back. Material of the windows, wood or plastic? Colour of the windows, wood finish, white or black? Size of the windows, how much light do you want to let in? Number of windows, do you wish to add more than the original number to let light into a corner or dark room? Wall or ceiling windows (skylights)? The most popular type of window to go with these days, for many properties would be those made from UPVC (unplasticized polyvinyl chloride). This type of window requires very little upkeep, as there is no wood to rot in harsh weather, or a painted finish (on wooden frames) to peel off and look unsightly. UPVC windows come in different colours with the most popular at the moment being white. The older the property is however, may restrict you on what window options you have to choose from. Some listed buildings are only permitted to have installed windows that match those that were in place during the period in which it was erected. If you’re a homeowner/commercial client with a period property that is not a listed building, depending on the look you’re going for will depend on which windows you’ll want installed. If you want to keep the property looking traditional and in keeping with its particular time period, it may be a good idea to research the style of windows from that time, so you can have similar ones made. However, if like many property owners today you want to give a property a more modern feel, larger windows are the solution. These are usually made from black or white UPVC, as wooden frames are seen as quite traditional. With over 20 years of experience in this field, our team of highly skilled window fitters will be able to transform your property by installing windows of your taste, promising you a professional finish and excellent customer service. Our window fitters are efficient and hard working and can fit the windows of your choice at a time convenient for you. If you’re unsure on which windows would be best suited to your property/needs, we welcome you to call our friendly team today to arrange a free property visit. We can discuss all the options suited to your budget such as, style, colour and material, and then provide you with a quote. 5:09 pm Comments Off on Need New Windows? If you haven’t got a flair for decorating your household/commercial property, our team of designers and decorators at Essex Property Maintenance can do the job to a high standard using quality materials. Our painters and decorators always give your decorated space a professional finish, as well as giving you advice on which type of paint/colour could help enhance your room and give it that tasteful, chic look. It may be the case that more than one area of your property needs decorating, or perhaps the whole house sprucing up, if you’ve just moved in or have just purchased a property you intend to let out on the rental market. Freshly painted and decorated rooms can ensure a property is in a great sellable condition, and often increases the chances of a swift sale, and at times, added value. A property that boasts ‘freshly decorated’ is the same one that attracts lots of potential buyers or renters. The type of room looking to be redecorated usually always influences what type of environment you wish to create. Whether it’s a bathroom, kitchen, living room or bedroom, colours are very important when choosing which atmosphere you want the space to give off. Relaxing – aim for cool colours such as pastels, pale blues, creams and white. Suited to kitchens, bathrooms and conservatories. Fun – aim for more vibrant colours, such as purple, pink, blue, green, orange and yellow. Suited to children’s’ play areas/ bedrooms. Rustic – aim for more natural/warm colours such as, browns, pale green, cream and burgundy. Getting the right type of paint is also crucial when re-painting/decorating a room. Whether you wish to have wooden furniture, floorboards, walls or ceilings painted, we can advise you on which types of paints to use to guarantee a long lasting, professional finish. The market now offers a range of different paints we use to a high standard, giving you a crisp and fresh finish. Emulsion wall paint – perfect for living areas exposed to everyday wear, often able to be wiped clean. Satins and glosses – great for doorframes, picture rails and skirting boards. Exterior masonry paint – weather protected and durable. Specialist paints – perfect for flooring (indoors and out), radiators and other metals, waterproof/mould resistant. Primers and undercoats – often used before painting wood and metal but also a great base coat for walls to make the surface appear smoother. Kitchen & bathroom paint – great for wiping down splatter marks in kitchens and protecting against damp and mould in bathrooms caused by condensation. Our team have over 20 years experience in the field of painting and decorating, so why not give our friendly team a call today for a free quotation. Go on; give your property a professional finish. 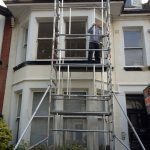 Our efficient, knowledgeable and highly skilled team of tradesmen means you can stick to the same reliable company throughout the renovation of the property and benefit from very competitive prices despite the professional finish we promise to leave you with. All of our work is fully insured and guaranteed, we do the job well, preventing you from having to have anything redone in the future. All of our work is carried out promptly and efficiently, and is conducted with the least possible disruption at the most convenient time for you. 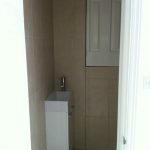 We can help you create a small new living space or develop/refurbish your entire property all within your budget. When planning your property extension we can provide you with genuine, helpful advice to make the most of your potential living/commercial space. Our design team will also help you to create a style of extension if you do not already have a clear idea of what you are seeking. We will always make sure that the design is in keeping with your property and your surroundings. When thinking about having your property extended or renovated, draw a rough plan of where you would like the extension along with any potential backdoors or windows. Send this to your local council in advance so that planning permission feedback can be administrated as soon as possible, so building work can begin as and when convenient for you. Also take note of what features you would like your extension to incorporate, along with any luxuries you were considering, for example, under floor heating. This way, our team of designers can assist you with the options relevant to you and in keeping with your budget. Call our friendly team today and we will visit you to measure up, see your plans or help build them, and to offer you a free quotation based on the layout, materials and requirements. Want to enhance your garden – how about a Summerhouse? Summerhouses in all shapes and sizes, incorporating personal features and alternative building materials to suit your design. Summerhouses are the permanent, hardwearing version of a garden umbrella and can be great shelters for Jacuzzis, deck chairs, sun loungers and garden dining sets. Whether you’re looking for a traditional summerhouse or log cabin, Essex Property Maintenance can build you a luxury garden get away. We can also insulate and decorate the interior of your summerhouse so that it can be used all year round. Summerhouses are becoming a popular garden living area in the Summer, whilst a great place for children to entertain their friends in the colder months. 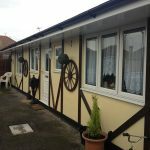 Many of our clients have their summerhouses/log cabins fully furnished and insulated so they can even act as an extra living area or spare bedroom for guests. Summerhouses are a fantastic asset to any home, adding value to some properties (depending on their size) as well as making them easier to sell. Here at Essex Property Maintenance, we offer our clients the chance to design their own summerhouse/log cabin which we can make and build or the chance to choose from a selection already designed – these we deliver to your home and assemble in one day. We provide our clients with an excellent service and promise to do our utmost to create the perfect summer house for you and your family. Our team of skilled tradesmen will assist you in the design of your summerhouse, to ensure you make the most of the garden space you have available. We have over 20 years of experience in the property maintenance field and all of our work is insured as well as guaranteed. 4:39 pm Comments Off on Want to enhance your garden – how about a Summerhouse?